Riley thinks that Uncle Baxter is throwing a party at Riley’s home and at Riley’s expense, but not inviting him. So Riley and his new friend, Waldo, set out to “paint the town red” to show their families just who’s the boss. Originally aired on April 2, 1944. This is episode 12 of The Life of Riley. Bob Hope welcomes special guest, Judy Garland. 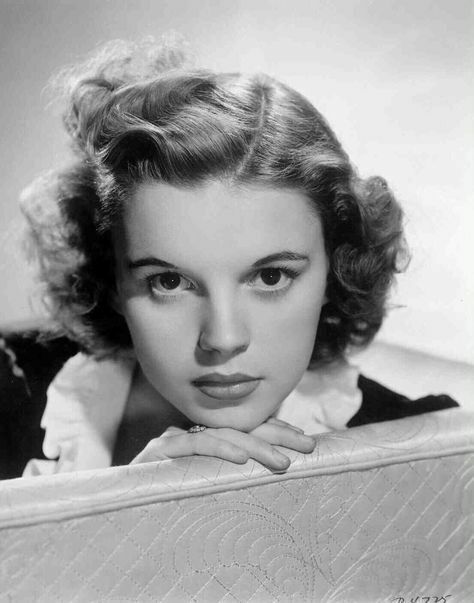 Picture of Judy Garland, 1938. Originally aired on March 7, 1939. This is episode 24 of The Pepsodent Show starring Bob Hope. Liz secretly tries out for a role in the Young Matron's League play in an attempt to impress visiting Hollywood director Anatole Brodney. Originally aired on October 2, 1948. This is episode 11 of My Favorite Husband. Riley hopes that Uncle Baxter will rekindle an old flame with a wealthy dowager so he can have Baxter’s room as a den, after the marriage. But is he premature by buying a unique item for his hide-away? Originally aired on March 26, 1944. This is episode 11 of The Life of Riley. Bob Hope welcomes special guests, Lum and Abner. Picture of Lum and Abner. Originally aired on December 27, 1938. This is episode 14 of The Pepsodent Show starring Bob Hope. George and his boss mistakenly think that Liz is going to have a baby. Originally aired on September 24, 1948. This is episode 10 of My Favorite Husband. Bab’s wants to star in a play, but it cost her $25 for acting lessons. When Riley finds out, he rushes to the theater to get the money back. Things don’t go the way Riley planned, though. Originally aired on February 20, 1944. This is episode 6 of The Life of Riley. Bob Hope welcomes special guests, Dagwood and Blondie. 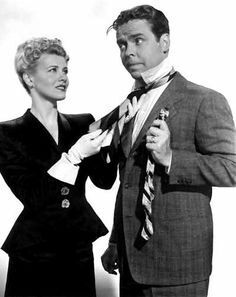 Picture of Penny Singleton and Arthur Lake. Originally aired on December 20, 1938. This is episode 13 of The Pepsodent Show starring Bob Hope. Liz befriends her eccentric, elderly, neighbor, General Timberlake. 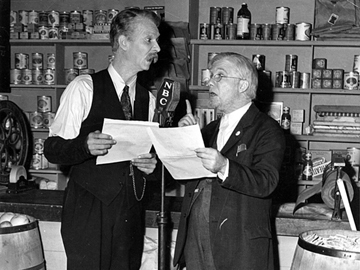 Originally aired on September 17, 1948. This is episode 9 of My Favorite Husband.